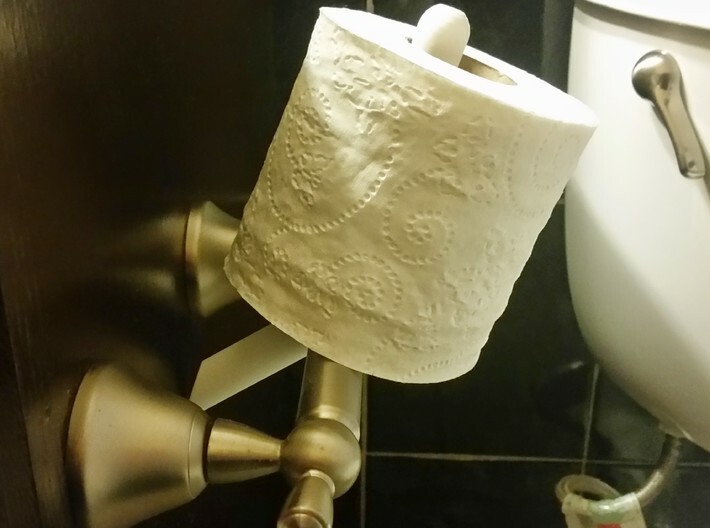 Hate it when your family or roommate doesn't replace the toilet paper roll correctly? 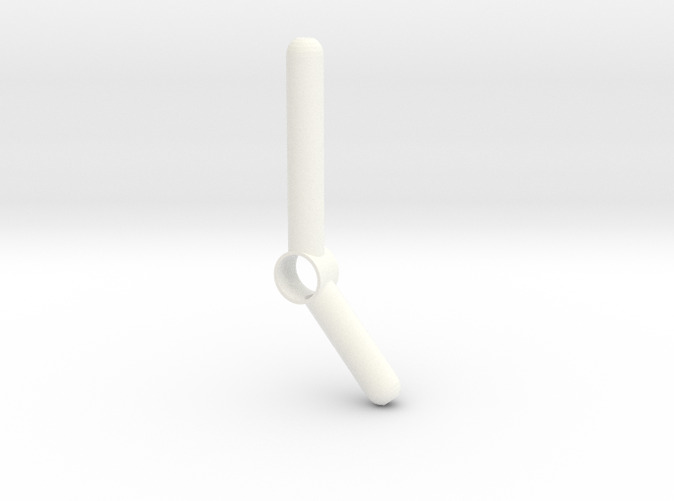 Well now they will, with Roll Pole! 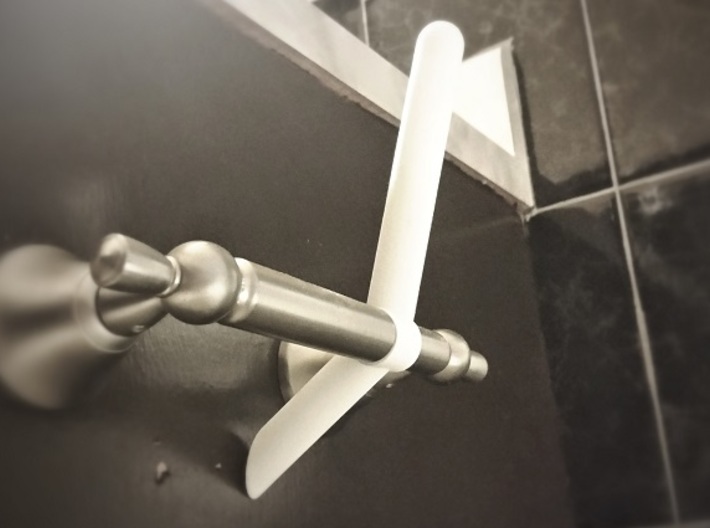 Just slide your current horizontal toilet paper roll holder bar into the ring and put it back into the wall -mounted holder as you normally would. 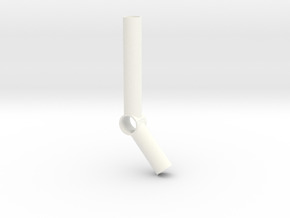 The longer part should be sticking up vertically, at a slight angle, and the lower part should be resting against the wall. Now you have a vertical toilet roll holder! This model fits around horizontal bars with roughly a 26mm diameter and smaller.